Serendipity: The word has its roots in the Spanish word Serendipia. It was coined by a writer who wrote to his friend about finding a Persian fairytale, The Three Princes of Serendip. The fairy tale talks about the adventures of the princes and how they use their intelligence to find clues. The princes encounter happy experiences without expecting them. I was scheduled to meet a friend outside Shopper’s Stop on Linking Road. I reached early and as if by happenstance or serendipity, I walked into the newly opened Forest Essentials store up ahead. The exterior and interior is unlike any other retail store on the same road. The huge polished teak wood doors open up to a beautiful world of flowers, fragrance and ancient tradition. The décor has been designed keeping in mind this ethos. The jaali work on the walls and the inlayed flooring remind me of the Mughal Era; where the beauty rituals of the queens and princesses is celebrated to date. As I was beginning to take in the detailing in the décor, the ambient lighting and the beautiful concoctions in front of me, their beauty consultant very politely asked me if I needed help. I was guided into their beauty rituals very gently. I visited the store in the winter of January 2016. Taking the season and my skin type into consideration, I was recommended the Kashmiri saffron and neem cleanser. It is called a cleanser as all their soaps are sulphate free i.e. they do not contain any SLS and SLES. The foaming agent is a herb called Reetha (Soapnut). This can be followed with spraying some Rose water facial tonic mist which is a natural toner and helps in minimising the enlarged pores. 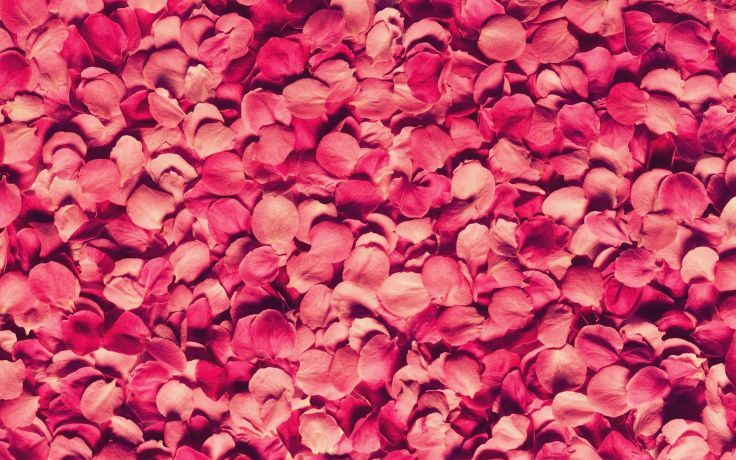 It is 100% Steam distilled purest form of rose water as the vapours which form during distillation of the rose petals are collected to form the rose water. 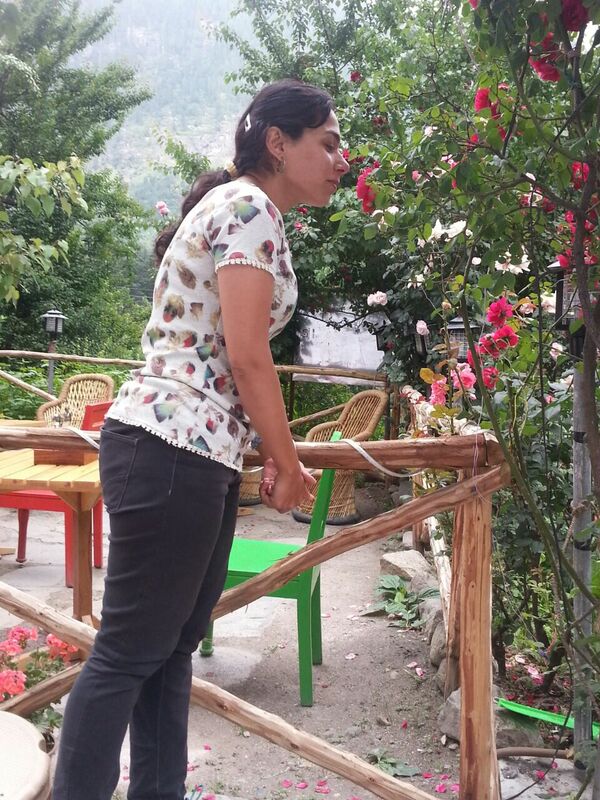 I am writing this from the hills in Manali, surrounded by flowers in full bloom. One Himachali woman introduced me to the red and yellow variety of roses with a beautiful fragrance. 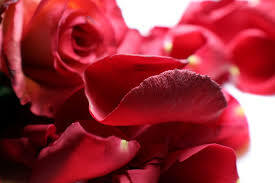 I can’t help but think it is serendipity again that I write about my experience in the midst of flowers and fragrances. The shining sun on the peaks of the mountains reminds me that the consultant recommended the Jasmine and Mogra light day lotion. This is not only a moisturiser but also has SPF into it. One of the ingredients in this lotion is Yashadh Bhasma, a herb found in the forest, which has Zinc Oxide naturally present in it. This helps protect the skin from UVA and UVB radiations. One of the points that caught my attention was the fragrance in the showroom. This was different from the synthetic perfume air we breathe in the malls. The ingredients of mountain flowers and herbs used in the products explained the source of the fragrance. The attention to detail in beauty rituals being explained by a person only added more light in the aura of the brand. Just as the body needs to be refuelled during the day, the skin also needs replenishment as it loses out on moisture. The rose water gel was suggested as a mid-morning application to balance the water level of the skin. After a long day’s work, how about much needed time for the self to feel beautiful and pampered? That’s why Forest Essentials has a night regimen as well. I was suggested the NagKesar and Narangi Ubtan, which is not a pack, but a night facial cleanser in the powdered form that helps in mild exfoliation and restoring moisture in the skin. NagKesar is a herb which helps in de-pigmentation and even tones the skin. The Ubtan is to be mixed with some rose water, make a thin paste, gently massage on the skin and rinse it off thereafter. This can be followed by application of Jasmine and Patchouli night treatment cream, which repairs the skin, helps reduce blemishes and rejuvenates the skin as well. I know I am assured of a beautiful night sleep after following these wonderful beauty rituals as i have a combination to oily skin type. As I walked through the showroom and asked questions, I learnt that the Mashobra honey & vanilla oil is an after shower oil that can be applied on the body post the last rinse. It is a light , non greasy & water soluble body oil, which keeps the fragrance on your body till the next day. The beauty consultant explained that the base for body oils is lighter like almond oil,sunflower oil,avocado oil and they also have Vitamin E extracts and a mood Enhancer called Gokharu . Body massage oils on the other hand use thicker base oils like black sesame. The best part is that all these oils are Cold Pressed Oils & they are Certified Organic. For some weekend glow, I was suggested the Yogurt mask, which does not dry like a clay mask. It can be rinsed off with warm water after 10 to 15 mins of application and then splash some cold water for best results. The fast paced city life in Bombay where marketing campaigns talk about 1 cleanser for 5 problems; there is no time to nourish and cherish the body, the mind and the soul. Forest Essentials made me go back in time to the good old days; I remember my Mother soaking multani mitti (fuller’s earth) and chandan (sandalwood) in water during the summer vacations. This was cooling for the skin during the warm months of April and May. During winter, my Grandfather added kesar, turmeric and figs to milk, brought it to a boil; poured some honey on the top to make a yummy winter dessert. This helped keep the body warm and strong during the cold months. My Grandfather also taught me the pranayama (breathing techniques) to keep the body warm in winter and cool in summer. My Grandmother, on the other hand introduced me to Sanskrit mantras and their significance. It is awe-inspiring to know that Forest Essentials has kept many of our age old traditions alive. Being an organic Indian brand, the Ayurvedic doctors oversee the process when the formulation is being formed. Pandits or priests recite mantras to sanctify the product. This also helps infuse the meaning that we derive our beauty and vitality from the universal consciousness, which has sanctified the potion being made. The blog on History of Skin care in Ayurveda by Forest Essentials shares that our ancient Indian scriptures like AbhijnanaShakuntalam and Meghadootam of Kalidasa mention instances of use of tilak (red dot applied on the forehead, in the middle of the eye brows) and kajal (liner for the eyes). The post talks about how the beauty rituals were not only for adornment of the physical body, but for spiritual wellbeing as well. They helped achieve Aayush (long life), Aarogyam (good health) and Anandam (bliss and contentment). P.S. While I was introduced to the brand in January 2016 by Alankrit. Ms. Sharmin Bhamla, (Store Manager- Forest Essentials) helped me with information for this blog.